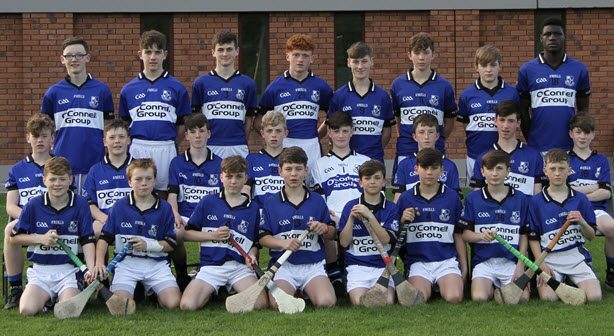 The sunny South East beckons when Sars U14 will represent Cork in the National Finals in Kilkenny next weekend. Grouped against host club O’Loughlin Gaels, Mt. Leinster Rangers Carlow and Dúrlas Óg Tipperary we wish the team and management success on their adventure. With previous success in The Christy Ring Trophy in Casement Park in 2000 and The Cannon Fogarty Trophy in 2005 the club is delighted that as a direct result of the hard work and the endeavour of all its members that we are back representing Cork in Féile in 2017. Sarsfields Camogie will also represent Cork Camogie in this years GAA Feile 17 adding to an extra special weekend for the Sarsfields community. Absent from the Féile Team is Aaron Roche due to injury. David Walsh, Ian Graham, Rory Duggan, Alan Kennedy, Jerry Sparrow.